Kefir is nothing new—in European countries like Russia and Poland. In fact, it’s been around for centuries. But here in the U.S., kefir’s popularity is still gaining traction. The fermented beverage, which is usually made by adding kefir “grains” to cow or goat milk, boasts myriad health benefits. For starters, kefir is considered to be a more powerful probiotic than yogurt, is said to boost immunity, and may even help to build bone strength. Now, the traditionally milk-based drink is making forays into the non-dairy sector, too. 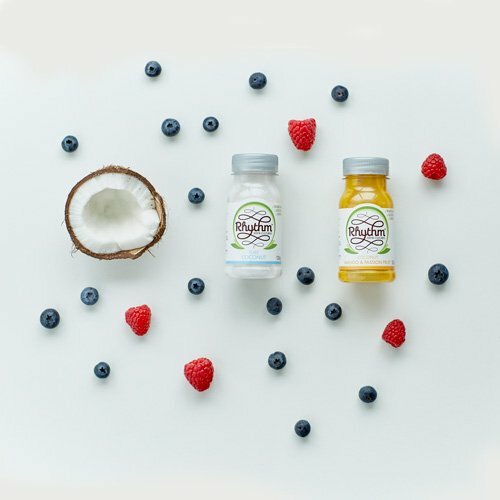 These alternatives, formulated with coconut milk, almond milk, and water, give consumers more options for consuming kefir. So, make no mistake about it: kefir is here to stay. Last March, Innova Market Insights released a report analyzing just how much of a dent kefir is making in the fermented foods category. According to the report, kefir launches increased more than threefold between 2011 and 2016, compared to more moderate increases for overall yogurt and fermented beverages. In terms of dairy free, however, currently only a few companies, like U.K.-based lactose-free probiotics startup Rhythm Health Ltd., have made forays into the dairy-free kefir sector. But with the kefir market on the rise, odds are good more will follow suit. Although kefir is still relatively unknown among a majority of consumers, there are a few likely factors contributing to its rise. According to Joana Maricato, market research manager, New Nutrition Business, kefir is a great way to create a “new point of difference” from more traditional fermented fare like yogurt. “Kefir is different from yogurt in terms of taste and texture, but the biggest differences are related [to] its fermentation and the number of bacteria [present]. Kefir is fermented for a longer period of time than yogurt, resulting in less…lactose in the final product. It also contains different strains and a higher number of bacteria culture,” she says. Rhythm Health offers an array of lactose-free kefir formulations, including its coconut-based kefir drinks, Make Your Own Kefir Yogurt, and Kefir Life Shots, which the company says contain “a minimum of 50 billion live, synergistic, natural, multi-strain bacteria from lactose-free kefir cultures.” Owens founded the company three years ago with an eye toward a dairy-free kefir future. Coconut, which Owens says is “a special raw material called the tree of life in Sanskrit…for good reason,” offers its own health benefits, like antioxidants and potassium, in addition to being allergen- and lactose-free. Owens adds: “Here in the U.K. and Europe, investigative TV shows…have shined the spotlight on kefir by actually testing [human subjects’]…gut microflora” before and after consuming a kefir beverage. Owens says that kefir’s future is bright—particularly as consumers become more educated about functional foods like kefir. “It’s a slow process…when your diet has been compromised by processed junk food, it’s a battle to get the function back. But it’s possible with natural cultures and raw fiber,” he says. “There’s so much world press on diversity being the key to a healthy life that people are making more educated choices [and] looking for that diversity.” Kefir just happens to be a relatively untapped way to meet that demand.